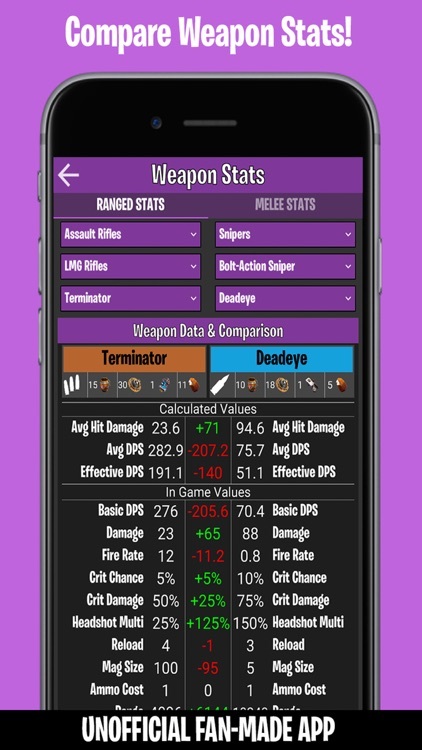 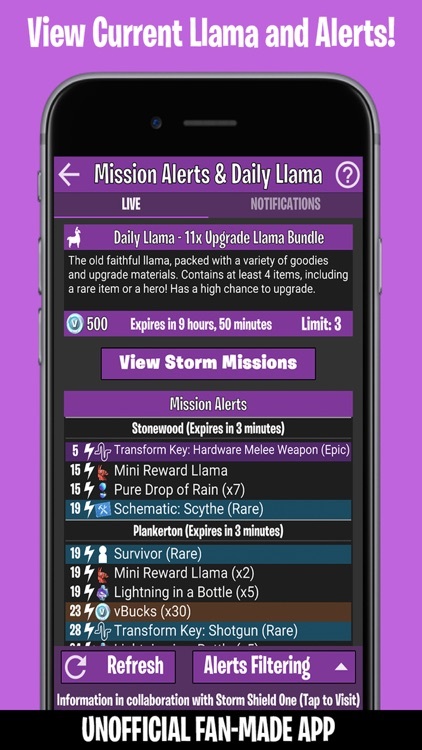 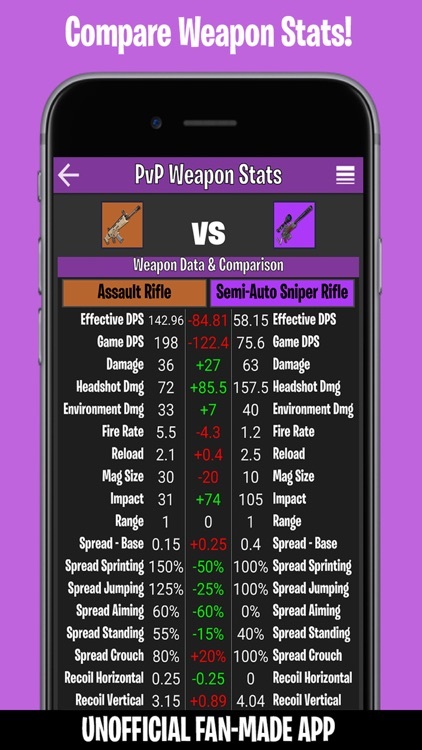 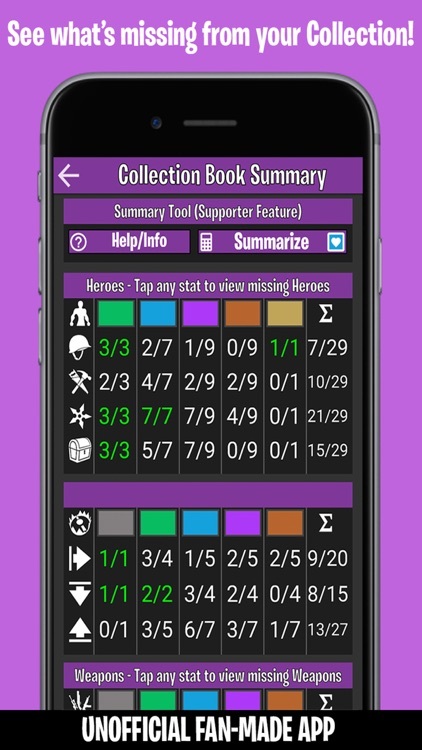 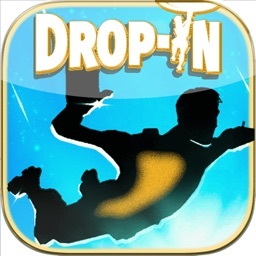 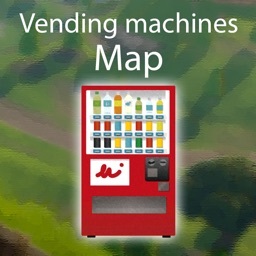 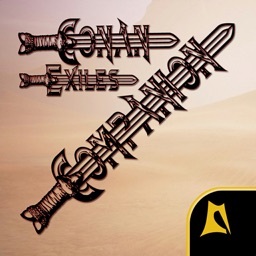 This Unofficial App is a compendium of knowledge, tips and useful tools for Fortnite Battle Royale and Save the World players! 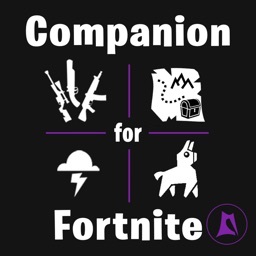 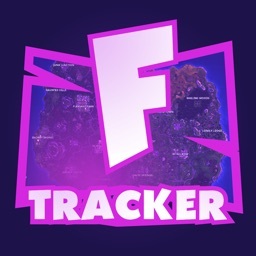 The ultimate companion, guide, stats tracker and assistant for Fortnite! 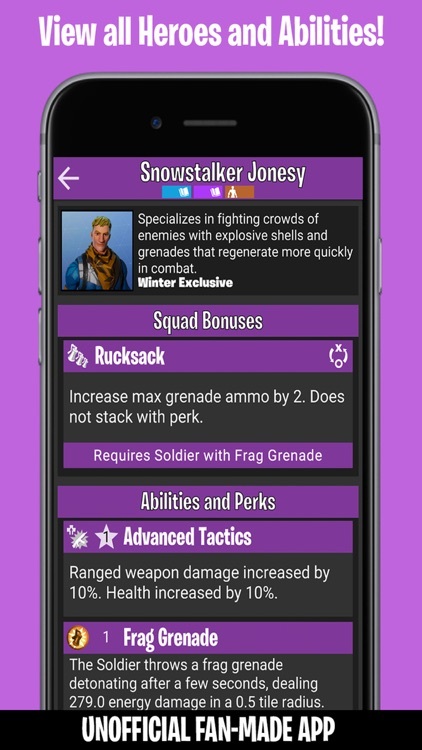 - Store Sales: Shows all the items currently for sale in the Battle Royale Store, with images and vbucks prices. 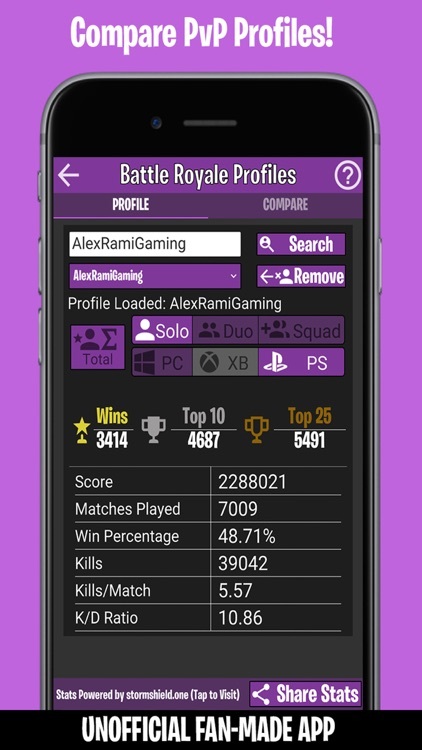 - Leaderboards: View leaderboards for all squad types, platforms and several metrics. 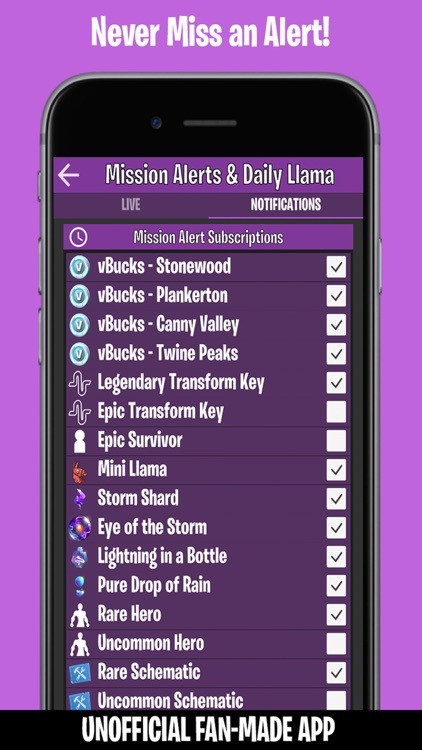 - Battle Pass Tracker: View and track all Battle Pass challenges along with visual guides for every week of challenges. 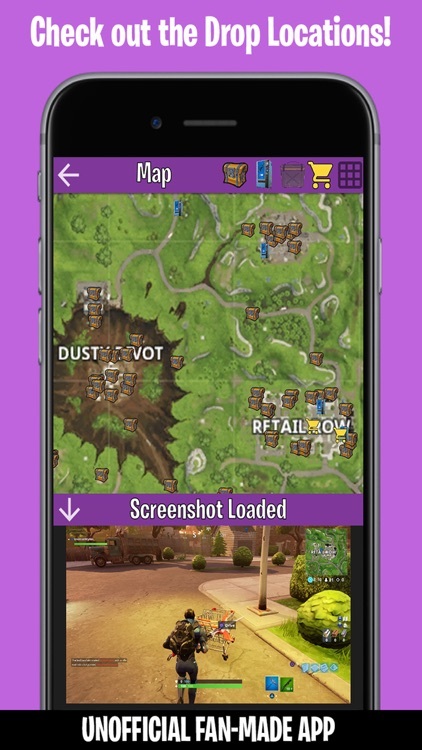 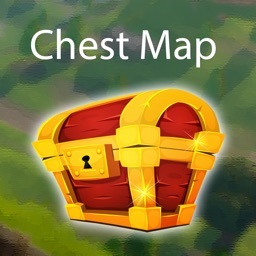 - Items: Images and in-depth descriptions of all Battle Royale items. 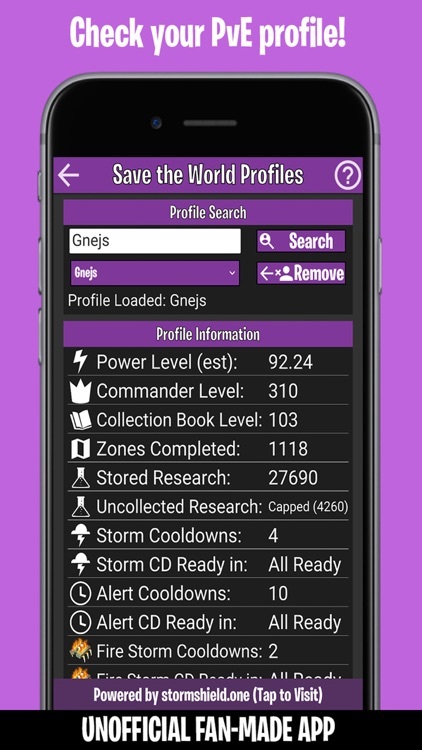 -- A Monster information bank which also includes images of all monsters.